The second largest county in England, Lincolnshire is one of the finest counties to tour at leisure. The wide spaces between the larger towns and the city of Lincoln give each community its own identity. All residential areas are most welcoming, presenting a full range of, pubs, town halls and local churches that host a variety of activities, many of which are compelling sights for the visitor. The main cities and towns, in order of size, are: Lincoln, Grantham, Grimsby, Boston, Scunthorpe, Spalding, Stamford, Skegness, Louth, Sleaford, Gainsborough, Brigg, Cleethorpes, Bourne, Horncastle and Mablethorpe. Of course, several of these are on the East Coast of the county bordering the North Sea. The City is at the heart of the county and only a short distance from Branston Hall Hotel. 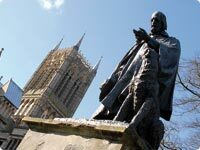 The most famous landmark of the city is the Lincoln Cathedral. 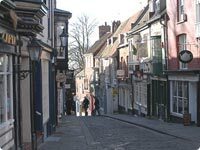 Lincoln is the centre for festivals and concerts, art and sculpture, boats and buildings. The High Street Quarter is the ideal place for shopping, with shopping centre and recently regenerated Waterside and St Marks Area. It's also a great place to grab a bite to eat or enjoy a coffee at one of the city's trendy coffee bars, and at night comes alive with the many exciting bars and clubs there. The Brayford Waterfront boasts sculptures and a public viewing deck. There are boat trips on offer and a nine-screen cinema with all the latest movies. 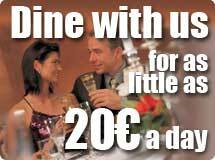 Evenings, the waterfront area has a very friendly, laid-back and welcoming atmosphere. Activities throughout Lincolnshire include thrilling theme parks rides, the resorts at Skegness, Ingoldmells and Cleethorpes always offer something for The Skegness Illuminations usually start towards the end of July in proximity to the Clock Tower, which was built to commemorate Queen Victoria's Jubilee, as do the Mablethorpe Illuminations. 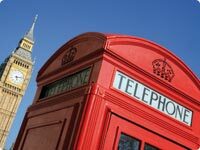 London is a comfortable two/three hours journey from Branston Hall Hotel. The Lake District is England's largest national park. It features the highest mountains and the deepest lakes of England and embraces a range of activities which will satisfy the energy and curiosity of every visitor. The area is known as the country's biggest adventure playground and the scenery is breathtaking in every sense of the word Heritage Resorts, Whitewater Hotel and Leisure Club is one of the finest places to enjoy the region. 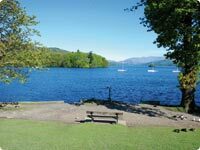 It is situated on the banks of the river Leven to the south of the famous Lake Windermere. Apart from the breathtaking landscape, the area is a paradise for holidaymakers offering everything from golf to horse riding, hill walking, water skiing, cruising and some very attractive beach locations. 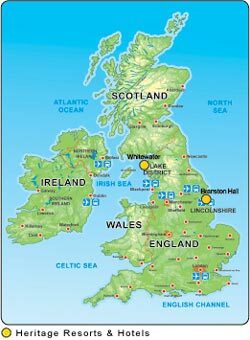 The Lake District is also an ideal starting point for a tour of the delights of Scotland and the wonderful City of Edinburgh.